Integrated Disability Resources' rapid growth led to differing ideas in the management team about what the company stood for. Helping IDR discover their real brand and growth driver showed that their focus on individual claimants was actually having an impact on the whole industry. 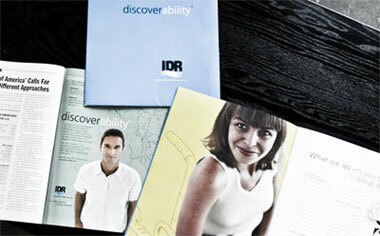 The DiscoverAbility idea lead to discovering something more rewarding � profitability!